Nokia`s first windows tablet Nokia Lumia 2520 with super-fast 4G LTE and built in free Microsoft Office and windows RT 8.1 we call it one experience for everything in your life. Nokia Lumia 2520 windows tablet has many features like Play inside or Play outside, Type or touch, You can Boost your productivity free through (word,excel and power-point), The perfect companion, keep moving. 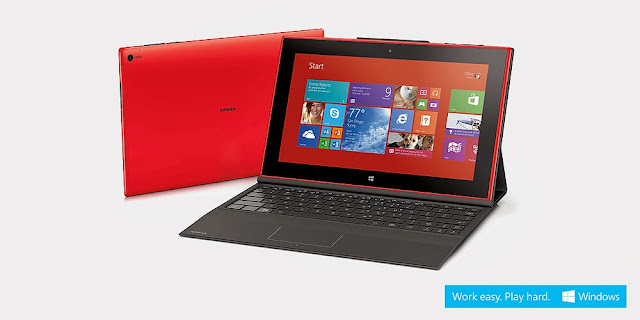 Lumia 2520 comes in multiple colours.